Zhai Qing, born in January 1964, is a male ethnic Han from Changzhi, Shanxi Province. He joined the Communist Party of China in May 1984 and entered the workforce in July 1985. He has an in-service postgraduate education and holds the degree of Doctor of Economics. 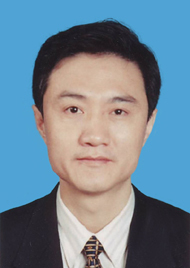 Since July 1985, he has worked in Taiyuan Institute of Technology, the Central Committee of the Chinese Communist Youth League, State Economic and Trade Commission and National Development and Reform Commission as Deputy Director, Director, Assistant Counsel, Deputy Director General and Counsel (from June 1995 to July 1998, he served as the Deputy Director of the Planning and Economic Commission and the Economic and Trade Commission for Restructuring the Economic System of the Tibet Autonomous Region). Since September 2008, he has worked as Director General of the Department of Pollution Prevention and Control and the Department of Planning and Finance of the Ministry of Environmental Protection. In January 2013, he was elected a member of the Leading Party Members' Group of the Ministry of Environmental Protection and appointed Vice Minister of the Ministry of Environmental Protection in February 2013. In March 2018, he was appointed Vice Minister and a member of the Leading Party Members' Group of the Ministry of Ecology and Environment (MEE) of the People's Republic of China. In November 2018, he was appointed Secretary of the MEE Committee of the Communist Party of China. Between Nov. 17 and 18, Vice Minister Zhai Qing went on an inspection tour to Dalian to check the public access to environmental infrastructure.